Miss Earth United States is under NEW direction of U.S. Earth Productions, Inc. We invite you to meet the team! Celine has grown up on-stage from the time she was 5 years old. She has an established background in dancing, singing, and cheerleading, both at the college level and professionally for the NFL as a Kansas City Chiefs Cheerleader. She was selected to appear in the international NFL Mexico Media Tour as well perform in four overseas USO military tours during her three year tenure with the Chiefs. With this extensive training in public speaking, media training, and professional appearances as a representative of the NFL, paired with her background in performing and the love of the stage, pageantry was a natural progression, winning the title of Ms. Kansas United States 2012 and securing a top ten spot at Ms. United States. 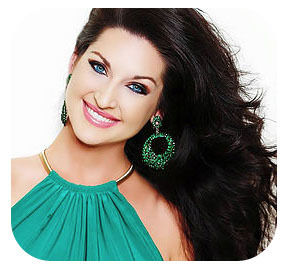 Celine served three years as a state director and the National Webmaster for the Miss United States Organization. She and her husband Dave own a well established company allowing her to travel frequently, making Celine very excited to represent the U.S. preliminary to one of the highest ranked international pageants - Miss Earth. Kena is a proud mother, entrepreneur and activist. In addition to holding a directorship and judging, Kena was Ms. Wisconsin United States 2014, ranking in Top 15 Ms. United States. Originally from Chicago, Kena once called the basketball court her stage while playing internationally In Sweden and in briefly in the WNBA. She has a degree in communications from Furman University in South Carolina. Today, she owns NVMe Fitness, where her purpose is motivating people to value themselves and enjoy life through a healthy lifestyle. She enjoys competing in fitness competitions and providing wellness and nutrition strategies for corporations and families. 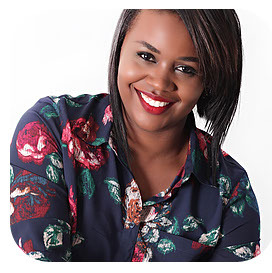 Kena can also be labeled an Emmy Award Winning producer and an actress on the award-winning series Anacostia. She resides in Maryland with her son. As the owner of Crowned Productions, Heather Rosplock fell in love with pageants at age 15. She grew up competing in the Miss Texas USA system and then moved on to become a Texas Bikini Team model traveling the United States. At age 31, she earned second runner up at Mrs. Texas and then became the state director of Miss Texas United States and Miss Texas World, assisting two queens to capture national titles and witnessing multiple top five national placements. Heather is a former high school business teacher and also an independent distributor for Premier Designs Jewelry, teaching women how to have a successful business while working from home. Heather studied Marketing at Sam Houston State University on a full athletic scholarship. She currently resides in Houston, Texas with her three sons and husband. Tomboy turned beauty queen, Brittany is a Speaker, Model, Fitness Universe Pro Athlete, former Miss US Galaxy, Miss United States and budding Author​​. A resident of Las Vegas, she has worked in Hotel Management and Operations for Caesars Palace, Mandarin Oriental, Wynn and Encore. She is recognized as one of the international faces of Planet Beach Spray and Spa and was a featured extra in Matt Damon's upcoming movie, Bourne 5. Brittany recently took her second trip to Sri Lanka through World Relief Organization for Children and looks forward to visiting an African orphanage this summer. As often as possible, Brittany shares her message of enlightement and empowerment, B.FabYOUlous. As a speaker, coach and athlete, Brittany combines her alter egos for a holistic approach to helping young women navigate through a superficial world. She loves pageantry and uses her experience to guide girls by embracing fitness, fashion, beauty and health while remaining true to oneself. Jackie is the owner and Chief Executive Officer of Bazaar Models. She recently held the title of Miss Texas Earth and believes strongly in the mission of the Miss Earth Organization. 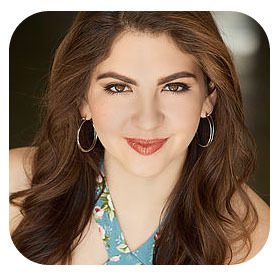 Jackie studied Electronic Media Communication at the University of Texas at El Paso. Previously known as Wilhelmina Bazaar, Jackie's is well known for her talent in developing men, women, and children for careers in modeling as a talent agent. She and her husband live in El Paso and have a son. Ariel is originally from Southern California, was raised in Arizona and now resides in Washington, D.C. where she works as a Healthcare Administrator in Plastic and Reconstructive Surgery. She has been in pageantry for over 10 years and has competed in various systems including USA, United States, Teen America and Teen World. She was previously Miss Teen Arizona World 2007, Miss North Phoenix Teen America 2006 and has received the Congeniality Award at both Miss Arizona Teen America and Miss Virginia United States. Since 2014, Ariel has served as a judge and contestant coordinator for Miss United States and Miss World America in several states on the East Coast. Ariel's "hidden" talents include playing classical piano and the steel drums, riding horses and ballroom dancing. 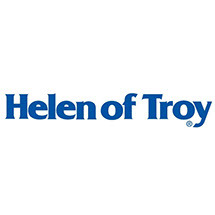 She gives her time frequently to charitable purposes including military appreciation and allergy awareness. As Contestant Coordinator, Ariel makes each delegate feel comfortable and informed as they complete their contest requirements and travel to Washington, D.C​. 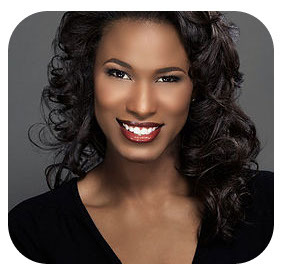 Melissa is a pageant and bridal beauty expert based in Baltimore and D.C. Her work has appeared in GLAMOUR Magazine and Essence Magazine, as well as projects with Nickelodeon and Mattel. During Mercedes Benz Fashion Week, Melissa worked with designers Cynthia Rowley, Walter Baker, Betsy Johnson, and Cesar Galindo. Model faces include Mikaela Schipani (ANTM Cycle 2) and World Cup Champion Soccer Players like Ali Krieger, as well as Candiace Dillard (Miss United States 2013), Victoria Mendoza (Miss World America 2015) and Elizabeth Safrit (2nd Runner Up Miss World 2014). She spent many years as Regional Artist & Educator for Stila Cosmetics and was awarded Makeup Artist of the Year (2011), Wedding Wire Brides Choice Awards (2012) and Commercial Makeup Artist of the Year Nominee for Fashion Awards MD (2013). Recently, Melissa launched Southern Flair Lashes. Melissa and her team of stylists / artists work behind the scenes at Miss Earth United States 2016 as official salon staff. Tori started her career in dance and professional sports. 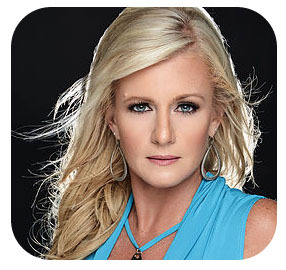 From Richmond, Virginia, she moved to Dallas to be a choreographer and consultant for Dallas Powerhouse of Dance. After starting her family, Tori was assistant director of game day entertainment for the Richmond Raiders Indoor Professional Football. She has enjoyed choreographing for many dance teams and working behind the scenes for pageants along the east coast. As Corporate Liaison for Miss Earth United States, Tori provides a positive and rewarding experience to both business partners and the pageant's state delegates. She holds a Bachelor of Science from Randolph Macon College and is proud mom to two sons: Johnny and Banks. Originally from the California Bay Area, Kiersten has enjoyed the past few years living in Washington, DC to attend American University, majoring in Business Administration with a specialization in Brand Marketing. Within the AU School of Public Affairs Leadership Program, she is currently the Alumni Events and Relations Coordinator and also recently served as the outreach director for AU’s Fashion Society. This spring, Kiersten was selected to be a Sustain US Delegate for the United Nations: Commission on the Status of Women. She has held a public relations internship with T.H.E Artist Agency. Kiersten brings along a passion for people and pageantry, as a recent contestant for the Miss America Organization.